With the Premium EGO E Cigarette Starter Kit, you can enjoy a tobacco free lifestyle with no ash, no second hand smoke, no flame, and no tar. 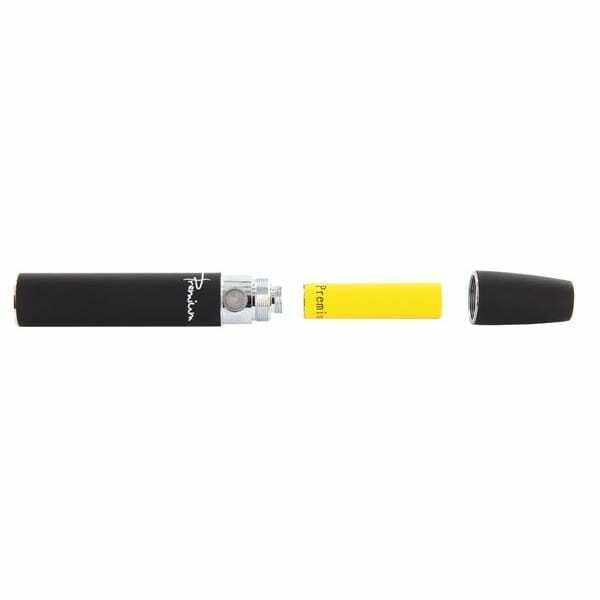 The EGO E Cigarette starter kit from Premium is an electronic atomizing device that will fulfill your nicotine craving by creating a water vapor with your selection of both nicotine level and flavor. The new battery design allows users to vape longer without the harmful cigarette additives found in traditional cigarettes. 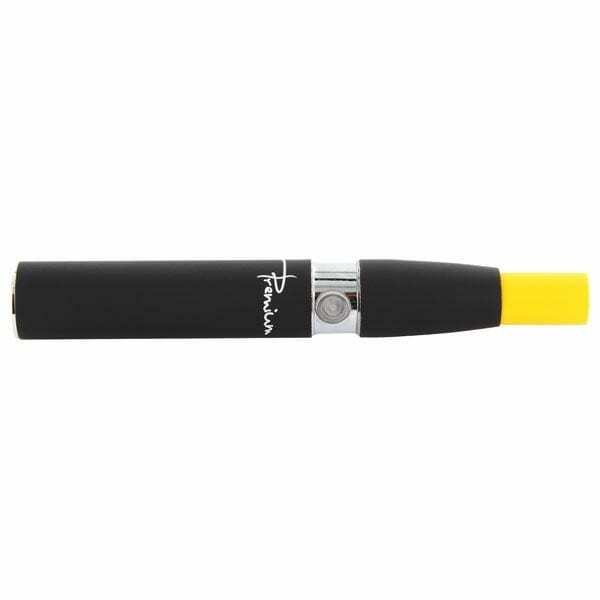 The new longer lasting EGO battery is much improved new and improved battery will provide you with lasting enjoyment, at well over 800 puffs on a single EGO battery charge. That is four times the puffs of other e-cigarettes! Enjoy maximum vapor production and an authentic throat hit from this die-hard long lasting EGO. With revolutionary power save technology in your hands, the efficiency from this kit will not leave you wanting, enjoy vaping, and embrace the satisfaction. With a manual switch on the EGO battery, it can be turned off and on to help it last longer, store it safer, and be there when you crave it. This EGO battery uses microchip technology. When the battery is charged completely, the charger cuts voltage to the battery to eliminate over charging, and prevent damage to the cell. With this technology in place, your Premium EGO E Cigarette Starter Kit will last longer, providing hassle free vaping enjoyment! If you already love the quality flavors and ease of use delivered from Premium Cartomizers, you’ll love the fact that their EGO battery.uses the same Premium carts that you’ve come to enjoy. You don’t have to worry about purchasing special EGO e-cigarette cartomizers. You can still enjoy your favorite Premium flavors the same way you always have, your way! The Premium EGO E Cigarette Starter Kit also comes with a stylishly designed cartomizer case to carry easily on the go. It conveniently houses up to 2 cartomizers for easy replacement in less time. To assemble your new EGO Starter Kit, screw the battery into the cartomizer casing. Then, gently screw the cartomizer into the threading of the cartomizer casing. All EGO’s will arrive in the off position. To turn the EGO E Cigarette on or off press the LED button 3x rapidly, the LED will then flash 3x to indicate the battery has just been turned on or shut off. 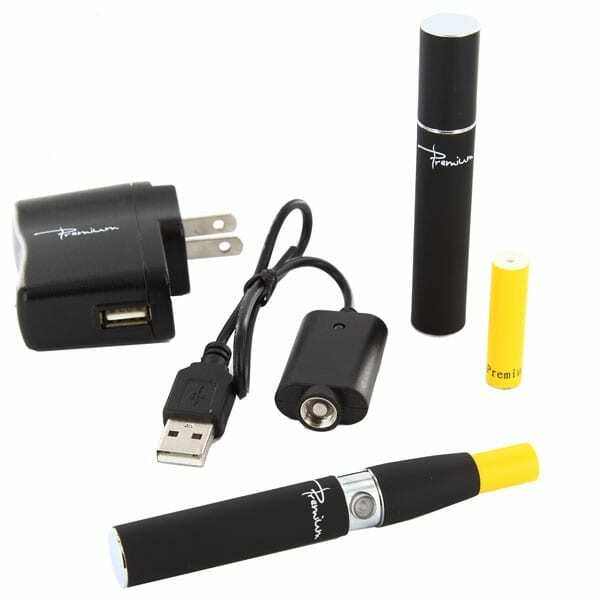 To use the EGO e-cig, press down on the LED button to activate the battery and inhale from the cartomizer. Release the button after inhaling as keeping the button pressed for too long will cause overheating and damage the EGO unit. Once the cartomizer is used, dispose of it and attach a new one to continue vaping.